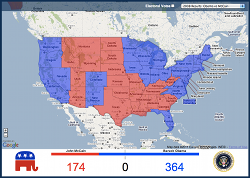 VoteNight is a web app to predict the US Electoral Map for the 2012 Presidential Elections. Get Election Result History, News, Polls and more. 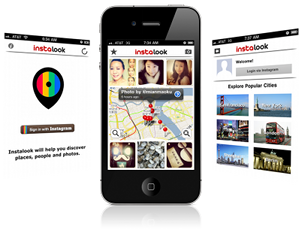 Instalook is an iPhone app to discover and explore places around you and anywhere by viewing photos posted by people in realtime. It is built using Instagram API, you can find Instagramers and Instagram Photos around you or anywhere. 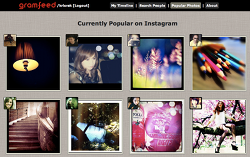 Gramfeed is a web client for Instagram Mobile Photo sharing service. You can view popular photos from Instagram, view your Instagram Photo timeline, view your follower's photo feed, comments and more. 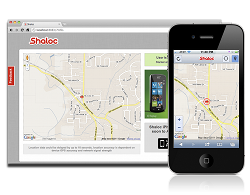 Shaloc helps you share your mobile phone's GPS location with your friends in real time. "It's like your GPS shared with your friend". Download iPhone app and share your location with one tap. 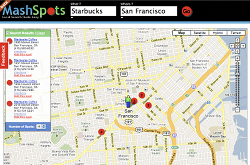 Your friends can view your real-time location on any computer or mobile device using the browser, no app download required. Misotrendy helps you find the most popular places around any location. MisoTrendy uses trending data from foursquare and shows currently checked-in users, tips and mayorships from the most popular venues in real-time. 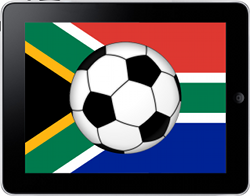 Football South Africa iPad app, Get all the information for World Cup 2010 football matches in South Africa. This iPad App shows Schedules, Standings, Teams and Venue information. 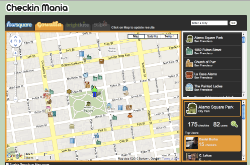 CheckinMania makes it easy to find where people are checking in using popular location based social media applications like Foursquare and Gowalla. 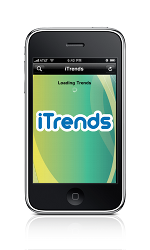 iTrends is a simple and easy to use iPhone app that lets you find out "Whats trending on twitter and why it is trending? 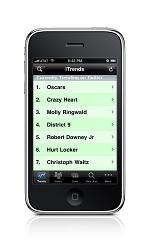 ", local twitter trends, daily twitter trends and more. Follow @itrendsapp on twitter for updates about the App. 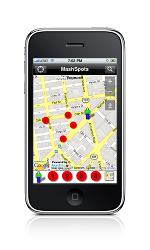 Mashspots makes it easy to find places around any location without having to know the address of the location you are searching around, just click on any location on the map to get the 4 closest places of interest. Also available are 2 iPhone apps that make local search simple and easy to use on a iPhone. 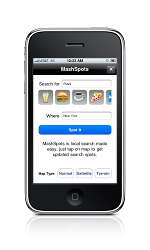 Mashspots iPhone app helps you find 4 closests places of interest by just tapping on the map. Shake2Find iPhone app helps you find your favorite places of interest by just using gestures.